I dreamt about being a published author nearly all of my life. If a fortuneteller had read my palm a few years ago and told me that within a four-month period I would go from the conception of an idea to having a completed book at a publishing house, I would have laughed out loud. Well, it is true, my friends, and I’m here to tell you about that journey. Does it sound like I’m selling snake oil? Well, I won’t kid you. 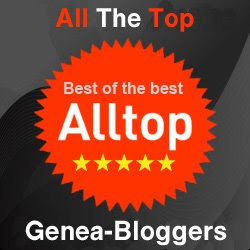 As with many things worth doing, publishing takes vision, hard work, time commitment, networking, and sometimes, as in my case, it can also depend upon being in the right place at the right time, with one or two creative ideas ready at the trigger. 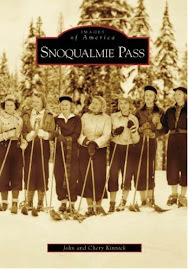 In October 2007, the book my husband and I put together: Snoqualmie Pass, was released by Arcadia Publishing. How did that happen? Back when I began taking writing very seriously, I signed up for a local seminar called Nearby History, offered through Seattle’s Museum of History and Industry. At the end of each fall seminar, family and friends of presenters are invited to a special event, but also local editors, news columnists, and other persons interested in the field of history. Everyone joins in for an evening of schmoozing and hearing all about what Seattle’s newest historians are up to. 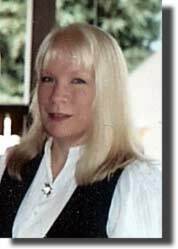 It was at this event in January 2007 that I met the local editor for Arcadia Publishing. Sad to say, Arcadia has since decided not to keep a Seattle-based editor, so the chances of such a serendipitous meeting are much less now, at least in my town. I was given an author’s packet to take home, but I confess I did not sit down with it until several weeks later. As I balanced a cup of tea and the enclosed literature after work one day, it hit me like a ton of bricks that I could actually do it. My husband, John, and I have lived in a very special area for the past fourteen years. Snoqualmie Pass in the Central Cascades of Washington is best known as a recreation area, especially for skiing and hiking. As longtime residents and active community members, we know it to be so much more. The varied history of this mountain community includes not just recreation, but indigenous tribes, explorers, pioneers, wildlife, railways, mining, interstate transportation, architecture, art, music, as well as the history of an unincorporated area straddling two counties. We had always toyed with the idea of commemorating the neighborhood somehow, and this turned out to be the perfect avenue for it. The Hyak School, on the east end of the Pass (Kittitas County), was started in the 1920s to provide local education to the children of Chicago, Milwaukee, and St. Paul Railway employees. Alexander “Ham” Howard was a student at the school for two winters. His mother, Pearl Howard, served as the teacher. Arcadia is the leading local history publisher in the United States and prides itself on producing easily accessible and quickly digestible history. Arcadia is the “Starbucks of history publishers,” as my editor so aptly put it. Some historians may scoff at the idea, but I find Arcadia has found a perfect niche. Not only does it provide a unique opportunity for authors (newbie and experienced), historical societies, and other groups, but it also gives the general public access to historical information and images they might not otherwise encounter. My own first encounter with the Arcadia’s Images of America series was several years ago while I was visiting Duluth with some Minnesota cousins of mine. I was seriously on the prowl for any family history related material that I could find. My particular hope was to find an image of a 19th century building where my great great grandmother’s second husband had worked in an office as an attorney. I knew the name of the building, but with no time to head for the library and less than a half-hour available to check out the waterfront stores, what to do? I spotted a gift shop, marched in and went over to the bookshelves and located a book entitled: Duluth, Minnesota. I was thrilled to find it chock full of images, especially of the city’s 19th century architecture. Flipping through the pages, I found exactly what I was looking for. When I explained to a cousin what I had found, he asked incredulously, “HOW did you do that?” I neglected to mention the specialized family history-tracking device in my pocket. Ski competitions brought many visitors to the Pass, beginning in about 1929. Early automobiles, looking like cookie-cutter images of each other, line the highway at the summit during a weekend event. But seriously, you can see how a highly recognizable series containing community history, as told through images, can be entirely useful to an experienced researcher, as well as to a curious passerby. For series and subject matter of interest to Arcadia Publishing, take a look at http://www.arcadiapublishing.com/publish.html. The beautiful thing about putting together a book of images for Arcadia, at least for a new author, is the structure provided. Each book is standardized in length and appearance, so there are fewer decisions for an author to make. Arcadia chooses the cover image out of several submitted by the author and also provides a book proposal form and general guidelines, making the process as easy as possible. In addition, an editor stands ready at the other end of the phone or e-mail to answer any questions throughout the creative process. There is also a layout planner, on which the images are numbered in the order they will appear, while the accompanying text is submitted in a separate word document. All you really need, initially, is a good book proposal and some idea of how to gather and manipulate images. It’s not as hard a process as you may think. The publisher edits your completed project and suggests improvements on images and text where necessary, making for a nearly foolproof product. I said the process was not hard, but it is time consuming. For four months, John and I each held the equivalent of a second job. We set up a general division of labor, and it took both of us working steadily to complete the book in the allotted time period (it was our choice to do it in four months, by the way). John is a longtime ski instructor and extrovert who is acquainted with many people around the Pass, so he took charge of contacting mostly everyone on our list with local and/or ski industry affiliations. I am the researcher/writer, so I located archival images and secured permissions, collected signed release forms, scanned and organized all of the images and artifacts, researched and wrote the captions, and in general, put everything together in the package as presented to Arcadia. A bit lopsided? Not really. Without John making all those daytime phone calls, setting up meetings, and drumming up excitement for the project among those who had materials to share, well… the book would not be half of what it is. Illustration of the proposed snow shed at Airplane Curve on Highway 10 (now Interstate 90). The card, which contained information on the backside, was handed out to motorists who were temporarily stopped by construction in 1950. Where did we find images for Snoqualmie Pass? Some of them came from archival collections, but not the majority. Images obtained from archival collections can be costly! It is not so much the cost of securing the right to publish, since many archives will give a discount for multiple images in certain types of publications, but the cost for copies, scans, etc., can really add up. Though you certainly will not get rich by publishing an Arcadia book, you will not want to spend so much initially that you neglect the bottom line of your pocketbook. It is the author’s responsibility to comply with copyright laws and secure permission or pay fees for any images used. You do not want to make the mistake of assuming that because an archival image is available digitally, you can just copy it and use it freely. If you are publishing, and especially if you stand to make a profit, you must secure permission first, according to federal copyright laws. Arcadia makes it harder to commit a faux pas by insisting that images be scanned in tiff format at a resolution of no less than 300 dpi. Postcards and images from a printed source need to be descreened (filtered) during the scanning process to avoid pixilated patterns in the finished image. So, where is the “free” stuff? You would be surprised how much historical treasure is in the hands of private parties. We found old timers in the ski industry and longtime collectors who were thrilled to be represented in the book, and they helped us immensely. I also knew someone at work whose grandfather had built a historic cabin just a few yards from my own front door, and that coworker and his cousin were honored to have their relative commemorated in such a way. Want old postcards and memorabilia to scan? Check EBay and local antique shops. Basically, you need to use your imagination about where to find materials, and you need to ask around. Most of the time you will not be turned down when you go knocking, but be sure you give proper credit if you want to be on speaking terms later on. Also, do not forget about public libraries and state archives. You will probably have to pay to get images scanned from their collections, but since they already “belong to the public” there is often no usage fee. Colorful totem poles and carved Native American sculptures attracted passing motorists to the Rock Chalet, a popular gift shop owned by Jack and Wilma Preston for over 40 years. While researching information for image captions, I used books, articles, newspaper clippings, written descriptions attached to archival images, and oral interviews. Just because you are told something does not make it a fact. Use your own good judgment when deciding if a secondhand story or bit of info can be trusted. It’s a good idea to utilize what is called the “triangle of proof.” If something is stated the same way in at least three different places, then you can feel somewhat secure about its accuracy. If you are not sure, then do not state the information as fact, but as a supposition instead, or, you can quote the person who gave you the info. Believe it or not, your Arcadia book will be looked at as a historical document now and in the future, so you want to be careful to not rewrite (mangle?) the truth. Lastly, I want to point out that although historical images are the focus of Arcadia’s Images of America series, it does not mean that each and every image must be “old.” Some contemporary photographs definitely qualify as history-in-the-making, and will be considered rare or special in future years. It is more than okay to include those, too. Each year at the winter season’s first significant snowfall, television station vehicles can be seen parked along the highway at Snoqualmie Summit. Reporters prepare weather and traffic updates at the scene, asking residents, business owners, and travelers to tell (one more time) how they manage in all that snow. Does this leave you contemplating an Arcadia book of your own? Good! See you around the bookstores, libraries, and gift shops! 1. Snoqualmie Pass, book cover. Digital image. Arcadia Publishing, Charleston, South Carolina, 2007. 2. Hyak School and students, 1920s. Photograph. Digital Image. Ellensburg Public Library, Ellensburg, Washington, United States, 2008. 3. Automobiles at Snoqualmie Summit, 1929. Photographic negative. Digital image. Washington State Archives, Olympia, Washington, United States, 2008. 4. Snow shed construction on Highway 10, 1950. Postcard. Digital image. Privately held by Jack Leeper [ADDRESS FOR PRIVATE USE], Snoqualmie Pass, Washington, United States, 2008. 5. Totem Poles at the Rock Chalet, Snoqualmie Pass, ca. 1960s. Postcard. Digital image. Privately held by Chery Kinnick [ADDRESS FOR PRIVATE USE], Snoqualmie Pass, Washington, United States, 2008. 6. Television crew camped out at the Summit Inn, 2007. Photograph. Digital image. Privately held by Chery Kinnick [ADDRESS FOR PRIVATE USE], Snoqualmie Pass, Washington, United States, 2008. Thanks so much for providing this excellent look into modern publishing --- and for all the helpful suggestions. Chery, thank you for sharing your experience. You've made me dream too . . .
Maven, thanks for a continuing run of excellent articles so full of good advice and so interesting. Thank you for a well written and extremely informative article full of things I personally have always wanted to know. I'm sure things that Shades readers will want to know as well! And thank you for participating in Friday From The Collectors. Your contribution is a thing of beauty. I really enjoyed reading this - a wonderful and informative post! Chery, your book sounds great! Thanks for your wonderful comments! As already stated; well written, enjoyable and informative. I will point to your article when friends ask about Arcadia Publishing. I enjoyed reading this article. I'm working with Arcadia on publishing a book for my city and I've just started the process of obtaining and scanning images. I have a question about one of the photographs in your book. On page 16 there is a photo of a train near Laconia Station in front of Snoqualmie Mountain and Guye Peak. The photo says 'Midsummer in the Cascades Summit.' It isn't from MOHAI or the UW's collections, but is courtesy of the Arthur P. Carkeek family. I was wondering if you have a copy of this image for private use (it would just be in a frame in my house), or could put me in touch with someone who has a copy? You will not believe this!! My uncle Guy and my mother Dorothy are in the photo of the Hyak school. I have never seen this photo- I do have a photo of my mother and uncle with two Howard boys. She called them Buddy and Junior. I was fortunate to visit there as a boy and my mother looked up one of the Howard boys. This was in the early 50's. My Grandfather worked at the train station. I will cherish this find. May 30 - And The Guest Author Is . . .